This Affiliate Agreement (the "Agreement") contains the complete terms and conditions between ourselves, Vortexaffiliate, and you, regarding your application to participate as an affiliate (an "Affiliate") of Vortexaffiliate Affiliate Program (the "Affiliate Program"). As an Affiliate, your role will be to promote sites and services owned and operated by our partners (these services and sites are referred to as "Services" and "Site(s)" below). 1.2 The Affiliate Program specifically promotes sites that do not handle gambling by people resident in the United States of America and Canada; therefore, you must ensure that your site does not target players in these countries. 1.3.4 politically sensitive or controversial issues or any unlawful behaviour or conduct. Similarly, we shall reject your application if we determine, in our sole discretion, that your Site is designed to appeal to minors. If we reject your application, you are welcome to reapply to the Affiliate Program at any time. 1.4 We may require further evidence of identification to verify your application details. If there is any change to your details as supplied by you, you must notify Vortexaffiliate of the relevant change without delay. Vortexaffiliate reserves the right to confirm your details by any means available to us. 3.1. You will only use approved creatives, marks and Marketing Materials, that are provided to or otherwise made available to you by us or are pre-approved by us solely for use in connection with this agreement (hereafter defined as the "Marketing Materials"), and will not change their appearance nor refer to us in any materials other than those that you receive directly from us. 3.2. Through this Agreement, Vortexaffiliate grants to you a non-exclusive, non-transferable licence, during the term of this Agreement, to use the Marketing Materials solely in connection with the display of these materials on your site as allowed and as per the terms of this Agreement. This licence cannot be sub-licenced or otherwise assigned by you. 3.3. You shall not register or try to register any domain names, trademarks or names, or try to purchase or register keywords, search terms or other identifiers used in any search engine, portal, other search or referral service, that are identical or similar to or comprise the Marketing Materials that you have access to under this Agreement. 3.4. Affiliates are responsible for all costs associated with their marketing and advertisement obligations under this Agreement. 3.5. You will not use any material that infringes any third party s intellectual property rights. 3.6. You will not use any material or content that disparages us or otherwise damages our goodwill or reputation in any way. 3.7. You will not attempt to communicate to players on our sites to solicit them to move to any online site not owned by us. 3.8. You will not attempt to cause a betting pattern of any end-user that is indicative of abuse of the Vortexaffiliate affiliate network and associated payment structure, and is not consistent with the aims of the Vortexaffiliate affiliate network and the good faith business opportunities it offers. 3.9. It is your sole responsibility to ensure that the laws applicable to you do not prohibit you from participating in the Affiliate Program and performing your obligations under it. 3.10. Referrals from Affiliates are considered as players of the online casino to which they have signed up to (the "Online Casino"). The Affiliate relinquishes all rights and/or ownership to these players once referred to the online casino and these players shall be registered as online casino members before they are considered as a qualifying First Time Depositor (an "FTD"). 3.11. You will not in any way alter, redirect, or attempt to alter or redirect, or in any way interfere with the operation or accessibility of the Sites or any page of the Sites or in any other way try to intercept or redirect traffic from or on any site or other place that participates in the Vortexaffiliate Affiliate Program. 3.12. You may only offer bonuses and promotions that are authorised by Vortexaffiliate, where you have an obligation to ensure that the prescribed wording, headers and terms and conditions used and/or provided to you are communicated and specified in any publication of the same on your site, email or other media. If there is a difference between the terms communicated in your offering of the bonus or promotion and the terms specified to you by Vortexaffiliate, then Vortexaffiliate shall be entitled to recover by way of set off of any commission owed to you or other means, the loss suffered by Vortexaffiliate as a result of your non-compliance with this section. 3.13. Without prejudice to anything else in this agreement, if we determine, in our sole discretion, that you have engaged in any of the above activities, we may withhold any Affiliate earnings and/or terminate this Agreement immediately on notice. 4.1. Please take note that credit shall not be issued to any Affiliate. 4.2. On joining this Affiliate Program your account will be set to our default commission of 40% of net revenue but subject to achieving new FTDs in any 3 months period where failure to do so will result in a base commission rate of 20% of net revenue. 4.3. Your Affiliate earnings are personal and you shall have no claim to Affiliate earnings or other compensation on business secured by or through persons or entities other than you. You cannot withdraw payments for or on behalf of a third party. 4.4. COMPANY reserves the right to change any Affiliate earnings structure (or any part thereof) from time to time, for any reason it deems fit. 4.5. All Affiliate earnings payments will be paid to your Affiliate account designated in your Affiliate sign up form in the currency of our choice. 4.6. Any charges for conversion, processing and delivering payment to you will be deducted from your Affiliate earnings. For the avoidance of doubt, we have no liability to pay any currency conversion charges or any charges associated with the transfer of money to your designated account. 4.7. In the event that we determine any activity to constitute fraud traffic, or to otherwise be in contravention of this Agreement, then in our sole discretion we may: (i) pay the Affiliate earnings in full, (ii) recalculate them in light of such suspected fraud traffic or contravention, (iii) delay payment of the Affiliate earnings while we investigate and verify the relevant transactions or (iv) forfeit your Affiliate earnings. 4.8. If you disagree with the reports or amounts payable, do NOT request or accept payment for such amount and immediately send us written notice of your dispute. Further, deposit of payment check, acceptance of payment transfer or acceptance of other payment from us by you will be deemed full and final settlement. Notwithstanding the foregoing, if any overpayment is made in the calculation of your Affiliate earnings, we reserve the right to correct such calculation at any time and to reclaim from you any overpayment made by us to you. 4.9. If we suspect the Terms and Conditions have been breached or the occurrence of fraud traffic, payment requests may be held over for investigation and your account frozen until we can validate that there has been no breach of these Terms and Conditions. If your account remains frozen as a consequence of this clause 4.9 for a continuous period of 90 days then in the absence of: satisfactory explanation; or evidence to prove legitimate dealings, funds remaining in your account will be removed and your account closed. 4.10. You shall comply with all applicable laws and any policy notified by us through our site or otherwise in relation to money laundering and/or suspicious transactions. 4.11. All Affiliates shall be responsible for paying such taxes on their Affiliate earnings under the laws applicable to them. 4.12. If you wish to offer any incentives to potential players, you are required by us to receive prior written approval before commencing any such activity. In the event that you do not receive such approval but offer such incentives, we reserve the right to cancel your participation in the program, and refuse payment of any previously earned, but unpaid, commissions. 4.13. Commission due to Affiliate at the end of each month can never be negative. All negative amounts will be carried over to the following months until any net loss is recovered from net revenues generated in those succeeding months. 4.14. Where the arrangement is based on revenue share, if no gaming revenue is generated for a continuous period of 90 days, your account will become dormant. We will issue a warning advising that the funds remaining in your account will be removed and, if no new traffic is sent within the following 30 days, funds remaining in your account will be removed and your account closed. 4.15. If funds remain in your account for a continuous period of 90 days with no withdrawals during that time and with no traffic generated during that time, then your account shall be deemed dormant at which point funds remaining in your account will be removed. 4.16. If funds remain in your account for a continuous period of 180 days with no withdrawals during that time then your account shall be deemed dormant at which point funds remaining in your account will be removed. We will track and report player activity for purposes of calculating your Affiliate earnings. Generally, you can, at your own initiative and timing, generate your own reports regarding the qualified acquisitions signed up in a particular period and/or the total amount due to you after any deductions or set offs that we are entitled to make under this Agreement. We hereby exclude any and all liability for the timeliness, accuracy or completeness of any such reports. 6.1.1. This Agreement has been duly and validly executed by you and constitutes your legal, valid and binding obligation, enforceable against you in accordance with its terms. 6.1.2. The execution, delivery and performance by you of this Agreement and the consummation by you of the transactions contemplated hereby will not conflict with or violate any provision of law, rule, regulation or agreement to which you are subject to. 6.1.3. You represent that you have evaluated the laws relating to your activities and obligations hereunder and you have independently concluded that you can enter this Agreement and fulfil your obligations hereunder without violating any applicable rule of law. 6.1.4. You shall not upload or distribute any files or data that contain viruses, corrupted files or any other type of files or data that may affect the performance of the services and/or site(s) in the Vortexaffiliate affiliate network. 6.1.5. You will not use any device, robot or other method, to try and interfere with the proper functioning of the Services and/or Site(s). 6.1.6.  The players you refer to Vortexaffiliate are of legal age under the laws that are applicable to them for the purpose of using the Services and/or Site(s). 6.1.7. You will not conduct criminal,unlawful or unauthorised activities and/or allow your account with us to be used for any criminal or otherwise unlawful activities, under any law applicable to you or us. 7.1 We may disclose to you certain information as a result of your participation as part of the Affiliate Program, which information we consider to be confidential (herein referred to as "Confidential Information"). Confidential Information shall remain strictly confidential and shall not be utilized, directly or indirectly, by you for your own business purposes or for any other purpose except and solely to the extent that any such information is generally known or available to the public or if the same is required by law or legal process. 7.2 Vortexaffiliate may disclose to 3rd parties information relating to your Agreement with us and other information disclosed to you by us to, in so far as is necessary, for use by i) payment settlement service providers, data verifiers, marketing and operational service providers and financial institutions, to the extent necessary for the completion of payments, online and offline marketing campaigns, facilitate the opening of new accounts, Customer Services and fraud prevention for services provided through our website, ii) to any auditors, contractors or other advsiers auditing any of Vortexaffiliate or Affiliates Services’ business processes. 9.2. any claim related to your site. 10.1 VORTEXAFFILIATE MAKES NO WARRANTIES OR REPRESENTATIONS (WHETHER EXPRESS OR IMPLIED BY LAW, STATUTE OR OTHERWISE) WITH RESPECT TO THE AFFILIATE NETWORK, OUR SITES, ANY CONTENT, PRODUCTS OR SERVICES AVAILABLE THEREIN ORE RELATED THERETO OR THAT OUR SITES, SYSTEM, NETWORK, SOFTWARE OR HARDWARE (OR THAT PROVIDED TO US BY THIRD PARTIES) WILL BE ERROR-FREE OR UNINTERRUPTED OR WITH RESPECT TO THE QUALITY, MERCHANTABILITY, FITNESS FOR PARTICULAR PURPOSE OR SUITABLITY OF ALL OR ANY OF THE FOREGOING. EXCEPT AS EXPRESSLY STATES OTHERWISE IN THIS AGREEMENT, ALL WARRANTIES, RESPRESENTATIONS AND IMPLIED TERMS AND CONDITIONS ARE HEREBY EXCLUDED TO THE FULLEST EXTENT PERMITTED BY LAW. FURTHERMORE, NEITHER WE (NOR OUR PROVIDERS OR UNDERLYING VENDORS) ARE REQUIRED TO MAINTAIN REDUNDANT SYSTEM(S) NETWORK, SOFTWARE OR HARDWARE. 10.3 Vortexaffiliate does not accept liability for the content or accuracy of external websites. Start seeing your profits grow! © Copyright 2014 | Vortex Affiliate . All Rights Reserved.